The development is a joint venture between Flanagan & Gerard Developments, Blue Crane EcoMall (Pty) Ltd and the family of the Giuricich Brothers. 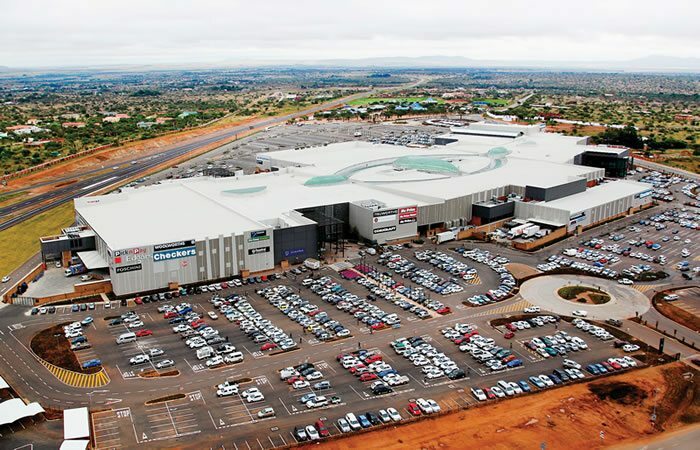 The mall is expected to capture between US$28.7 million to US$47.9million in revenue which is currently being spend outside of its borders and boost the Springs economy by US$114.8 million. Upon completion the mall will provide free open-air parking on both its shopping levels. Springs Mall targets mainly the middle- to high-income earning consumers clientele and it is set to open its doors for shoppers in April 2016. In the recent past Africa has experienced a boom of malls as a result of retail developers who are eyeing Africa’s rapidly growing consumer markets which are an opportunity for investment. The developers aim to meet the high growth of the middle class which has tripled over the last 30 years to 313 million people according to a new report from the African Development Bank (AfDB).